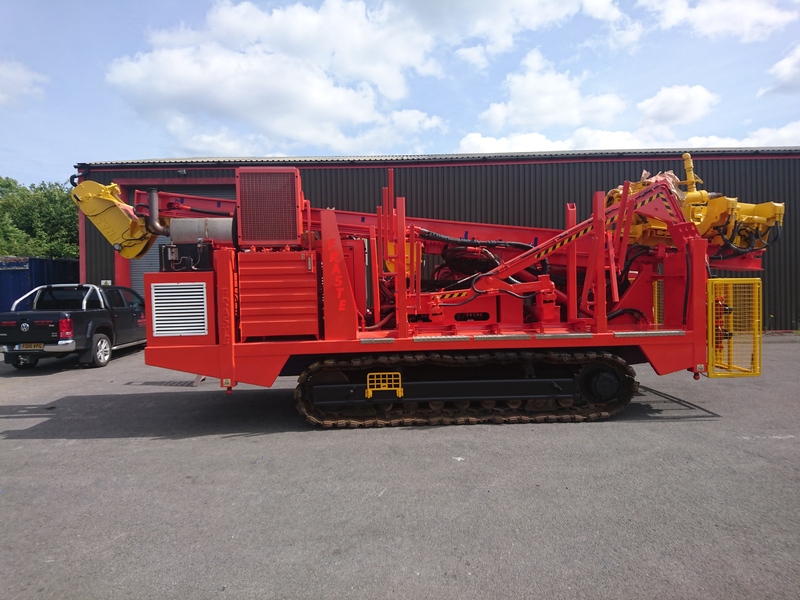 Our multipurpose drilling rig gets a new lease of life! Our Fraste FS 300 has been in the workshop recently and came back sporting a new look. A perfect combination of quality, technology and reliability. Designed for a multipurpose use with different drilling methods – direct or reverse fluid circulation – air drilling with DTH hammer – auger dry drilling – for Water Wells, Surface soil and mineral Exploration, Geothermal drilling, Seismic, Coring. The FS 300 features a certified and high standard construction method and improved safety systems, to face any working condition. The rig is fitted with an automatic drill pipe loading system, for safe and efficient drill pipe handling. For all drilling enquiries please contact us @Drilcorp on 0191 5273970.